Sean is new to the Formula Student Team in 2016. After spending a year in industry working with GE Aviation as an Engineering Repair Intern, he has returned with a keen interest in developing the front wing package on the new BR18 car, working closely with the entire Aerodynamics team to develop an improved package over the BR17 car. In addition to working on the BR18’s aerodynamics, Sean has taken the role of Sponsorship Manager. He will work closely with various companies and organisations, securing partnerships that will be of great equal benefit to them and the Brunel Racing team. 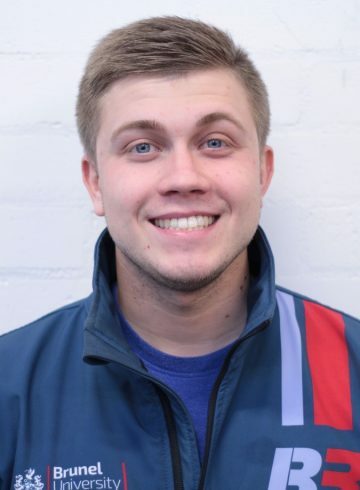 Sean also brings a level of racing experience to the table, having competed in Kart racing since the age of 8, remaining an active racer and Captain of the university race team. He will work closely with the race engineers, providing valuable feedback about the cars performance.